Caio Terra (white) from Gracie Elite Team vs. Makoto Sawada from Paraestra in the Black Belt Rooster Division Quarter Finals. Laercia Fernandes from Lotus Club BJJ vs. Samir Chantre in the Black Belt Light Feather Quarter Finals. 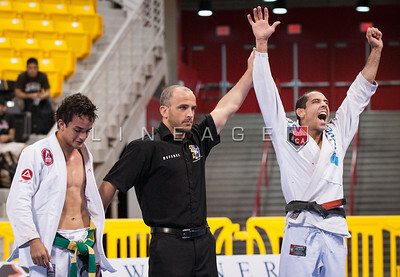 Rafael Freitas from Gracie Barra vs. Bernardo Pitel from Nova Uniao in the Black Belt Rooster Quarter Finals. Pablo Silva from Gracie Barra vs. Sebastian Lalli from Checkmat BJJ in the Black Belt Light Feather Semi Finals. Pablo Silva from Gracie Barra vs. Sebastian Lalli from Checkmat BJJ in the Black Belt Light Feather Quarter Finals. Paulo Melo from Gracie Barra vs. Daniel Beleza from SAS in the Black Belt Light Feather Quarter Finals. Rogerio Taborda from Tatu BJJ vs. Felipe Costa from Brasa in the Black Belt Rooster Division Quarter Finals. Samuel Braga from Gracie Barra vs. Yoshihiko Matsumoto from Sogo Kakutogidojo in the Black Belt Light Feather Quarter Finals. 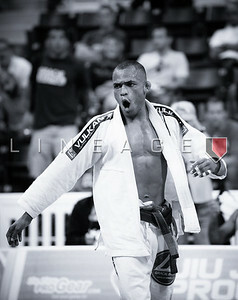 Marcelo Pereira from Nova Uniao vs. Bruno Malfacine in the Black Belt Rooster Division Quarter Finals.